Increase patient satisfaction & take your dermatology practice to the next level with end-to-end practice management, EMR management, claims/billing management, & consent management solution. Is your practice in need of dermatology EMR to maintain a detailed and well-evidenced record of patient progress and reaction to therapies? Are your dermatologists making informed decisions about treatment options, improve patient experience, and regulatory compliance? Outsource2india is a leading dermatology EMR service provider. 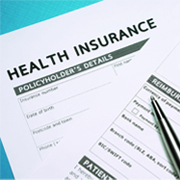 We have been offering a wide range of customized health information management services for over a decade. Our dermatology EMR services optimize the administrative processes without any extra burden on the in-house resources. Many dermatology hospitals, independent clinics and dermatology departments in super-specialty hospitals trust us for providing fast, accurate and compliant dermatology EHR services. There are hundreds of EMR tools available in the market today and we have often found that dermatologists find it hard to shortlist the right tools for their needs. Often, one tool is not enough to meet every need of the clinic. Having worked on a variety of EMR tools for over two decades, we can help dermatologists find the perfect fit solution and then customize it as well so that all requirements are met effectively. Many dermatology clinics find it hard to transition to a new, more innovative system as they fear disruptions in the day-to-day operation. O2I can seamlessly take over the task of EMR tool migration and integration with minimal transition time. We can also transfer all your old paper-based documents into the digital EMR system quickly and cost-effectively. 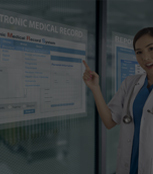 O2I makes sure that your system is well-integrated with health information exchanges, labs, pharmacies, hospital networks, referral networks, and more so that there is a seamless exchange of information. The field of dermatology is different from other medical specialties. For instance, dermatologists need options for graphically selecting body parts for recording information or for conducting procedures like biopsy, Mohs surgery, etc. They need options for consent management and for recording information such as number, color, size, and appearance of skin lesions. They want to store before and after pictures in order to record the progress of the patient. To make all these capabilities possible, there is some need for template customization. We can create customized templates for documentation of laser surgeries, Botox, fillers, liposuction, face lifts, blepharoplasty, etc. So, whichever dermatology EMR solution you decide to implement, we can align it with your needs. 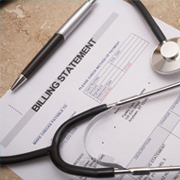 In a typical dermatology clinic, there are many procedures that can be billed through insurance, while there are others that are billed to the patients directly. There's a need to check insurance eligibility as well. Our services can intelligently segregate the medical procedures from cosmetic procedures and execute intelligent billing so that there is no overlap. We can help generate automated billing codes for various dermatological treatments and procedures. O2I can take care of billing tasks like fee schedule analysis, insurance, and payment posting, patient statement processing and mailing, account receivables reporting, and more. Managing the stock of specialty dermatological medications that are required for conducting various procedures is extremely vital for the practice. Outsource2india helps in inventory optimization across locations in order to reduce wastage and costs. Our team can handle multi-location tracking, ordering alerts, sales tracking, expiration tracking, reporting and analytics, HIPAA compliance management, and much more. We help you make sure that your clinics are well-stocked with the right products at the right time. Why Should You Outsource Dermatology EMR Services? Our ISO 9001:2015 accredited services can make your medical processes optimized and functioning well. We help you maintain compliance, improve customer experience, and ensure that reliable information is available to you all the time. We generate insightful reports so that you can make informed decisions to improve your practice and increase revenue. O2I is an ISO/IEC 27001:2013 certified company that handles your data with care and concern. When you outsource to us, you can rest assured that your confidential data is in safe hands. We know the sensitive nature of medical data and information and the need to maintain compliance with international medical standards, codes, and norms. Our team is completely trained to maintain compliance and the highest level of quality. The turnaround time for dermatology EMR services is fast because we have the infrastructure, resource, and other essentials to seamlessly complete the project without backlog. The dermatology EMR services are scalable. Therefore, if your requirements are prone to change during the project there is always an option to scale up or down. Just hint our team and we will help you take it forward. Many of our dermatologist clients have been able to reduce their EMR and practice management costs by 40-50% due to our global delivery model and competitive pricing. Outsource2india can become your partner for all sorts of services related to dermatology practice management and documentation. We help dermatologists with services like data entry, medical transcription, digitization, referral management, consent management, reporting, analytics, and much more. When you engage with us, you get your personal project manager who would take care of all your requirements and ensure high-quality results. We have an experienced team of certified medical professionals and trained resources who are well-versed with various categories of drug codes and compliance standards. 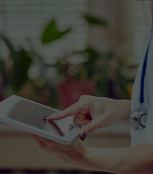 Our team is familiar with HIPAA compliance, P4P guidelines, dermatology billing codes, ICD-10, and Medicare Part D. We also offer regular training to our team on various EMR tools according to the client needs, so that they are ready to serve you with ease. 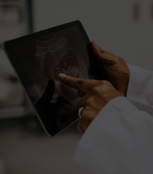 We have a very modern infrastructure that is complete with the latest security, hardware, and software to ensure your EMR system is implemented with precision. O2I uses SFTP and VPN to facilitate fast data sharing. This is a safe and efficient way to move data and project files from point to another. Our services are available to you round the clock due to our global delivery model. All the back-office tasks get done at our offshore location so that you get quick-turnaround at a lower cost. Approached by the US client for research and DME billing service, O2I helped them negotiate with insurers on EndoPAT coverage with success. 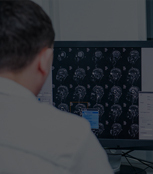 The client approached O2I to migrate from existing EHR to new software. We processed 3000 entries in a quick turnaround at a fraction of the cost. Outsource2india provides end-to-end, customized and compliant dermatology EMR services in India as well as a host of other healthcare BPO services. We have been serving dermatologists, independent clinics and network hospitals globally for over 20 years with our specialized range of offshore practice management and electronic health record management services. Having worked with many dermatologists in the past, we are well aware of the kind of challenges they face and the solutions that can help them optimize their practice with ease. Our flexible services are not only quick but also extremely cost-effective.